Virtual phone number is a telephone number for your business that lives in the cloud. This telephone number is configured to forward incoming calls and text messages to mobile, landline, computer or Voip phones. Make outbound calls and text messages using business phone number. 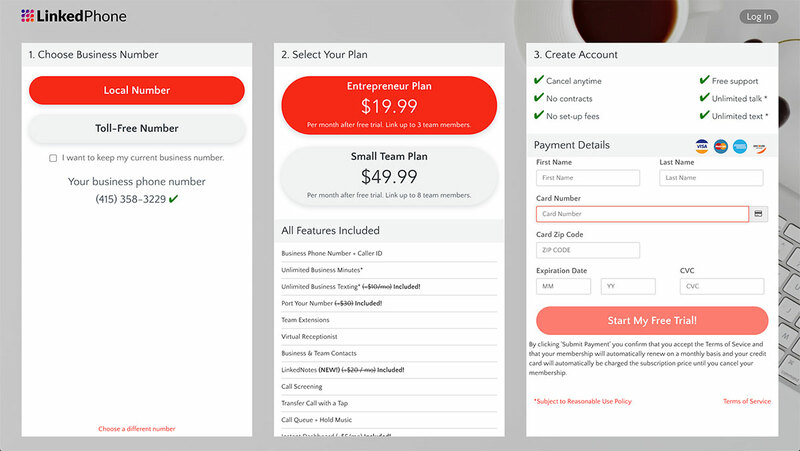 Select an Entrepreneur (3 users) or Small business (8 users) Plan based on the team size. 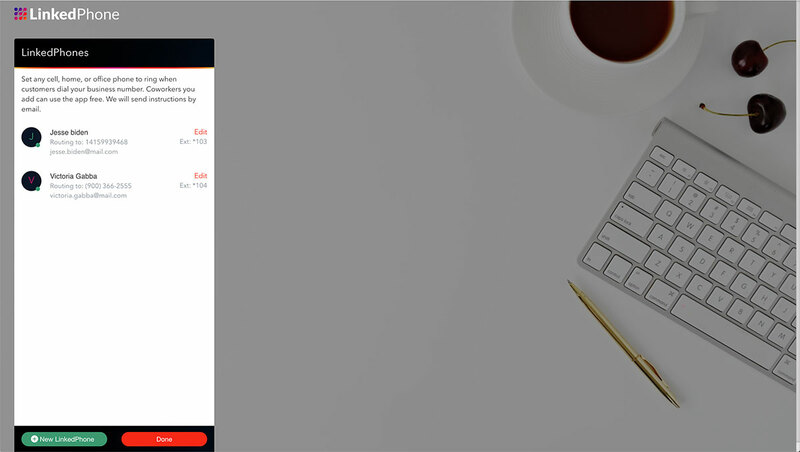 Add features like virtual receptionist, welcome greeting, call screening, call routing, business hours, call queue, company directory, multi-tier phone menu, Voicemail greetings & transcriptions and many more to your business telephone number instantly. Use the phones you already have. No new stuff to buy. No contracts. No appointments. No sneaky fees. Follow the below 3 steps to configure your business virtual phone system in minutes. Choose a local or toll-free business phone numbers anywhere in the U.S. or Canada. Unlimited business voice & messaging on any phone or computer. Talk & text from your business number with our mobile app. Never give out your personal number again. if you already has a business phone number porting your existing business phone number to LinkedPhone is easy! We are delighted to assist you, free of charge. Instructions will be emailed to you after you sign up. For now, please select a temporary number to build out your new business phone system. Make & receive business calls on the phones & devices you already have. Add your team members too. Personal numbers stay private. Receive voicemails transcriptions on your email and mobile/web app. Every user will be assigned an extension. Make sure you enter the first name correctly as the company directory depends on the first name. See how call routing works. Automatically handle incoming business calls. Configure welcome greeting, voicemail, set business hours. Create professional call menu options. 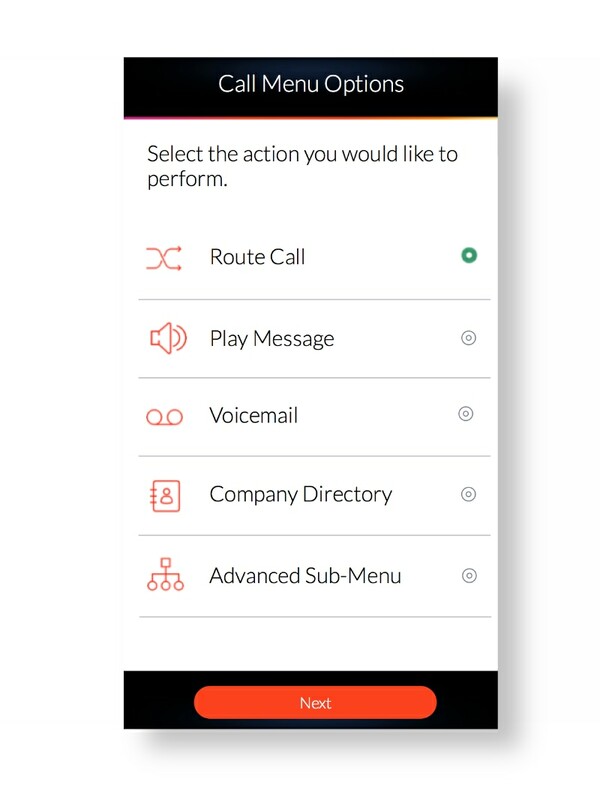 Route calls to any phone, colleague, or to an entire team. Voicemail. Voicemail transcription. Company directory. Learn more about Virtual Receptionist. Explore all LinkedPhone business features. Automatically respond to incoming business text messages with a keyword or phrase match. Get a big company phone system at a small price. Add or remove users instantly. Make or receive calls on Computer, Mobile, Landline, IP Phone, IOS/Android app. Automatically respond to incoming business text messages. Get Voicemail on the IOS/Android app or email with transcribed text for all the users. Configure Virtual receptionist in minutes. one phone number for your customers. Add or remove business phone numbers instantly. Never miss a call or text again.